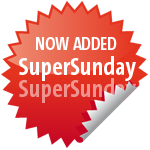 This year’s UKOUG Tech13 conference is kicking off with a free SuperSunday event. The theme for the day is configuration management and automation. I have prepared a lab where participants can try to do a silent and scripted installation/deployment of WebLogic Server 12.1.2 via the standard Oracle tools. We will use a Linux Server running on the participants laptops via VirtualBox. Scripting will save you time and make installations identical and hereby maximize predictability. While scripting is a good start, the next step is to use real configuration management tools to help you out. There will be a hands-on lab with Puppet and if time permits also one for Chef.